Prepare for another amazing Medieval Fair! The annual Medieval Fair in the historical town of Silves is one of the biggest and the best summer festivals in the Algarve. This colourful and vibrant festival centres around Silves Castle and takes over most of the town. It attracts visitors from all over the world who come to dress in Medieval costumes, eat and drink Medieval fare, cheer on jousting knights, dance to Medieval music and enjoy the electric atmosphere. A great event for all the family - not to be missed! The Silves Medieval Fair is very popular so expect it to be quite busy. It gets particularly busy from 9pm onwards. Parking is on the outer streets of the town. Silves is a hilly town and the cobbled streets can be tricky underfoot – runners or low sandals are the best footwear. 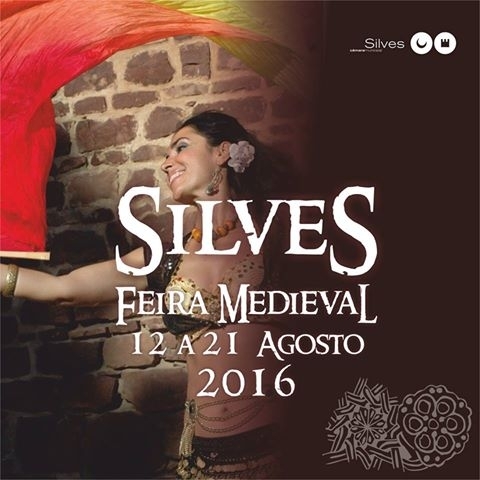 Silves Medieval Fair is open from 12th to 21st August 2016, 6pm until 1am each day. 10 day pass braclets are available from 25th July and can be purchased at all Silves Juntas de Freguesias and at most municipal facilities and many commercial establishments in Silves. Daily tickets can be purchased at the Fair's box office, FNAC store Algarve Shopping and online (available soon). For more information and to keep up to date with the programme, visit the Fair's Facebook page.